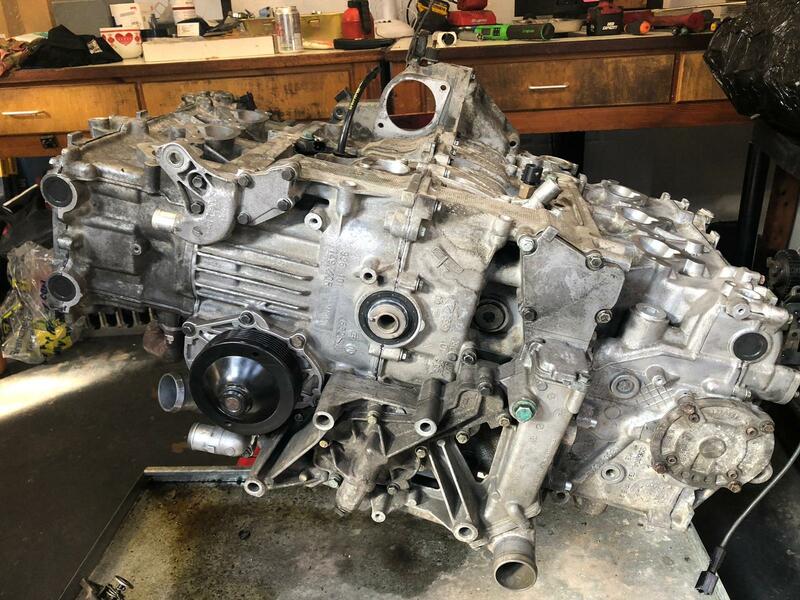 It’s taken a couple of months to decide on a course of action and source the parts to rebuild the engine block. 9-Apart Porsche dismantlers had a good crankshaft of the right type (5 chain rather than the later 3 chain design). Without this there would have been no choice but to go with a second hand engine. 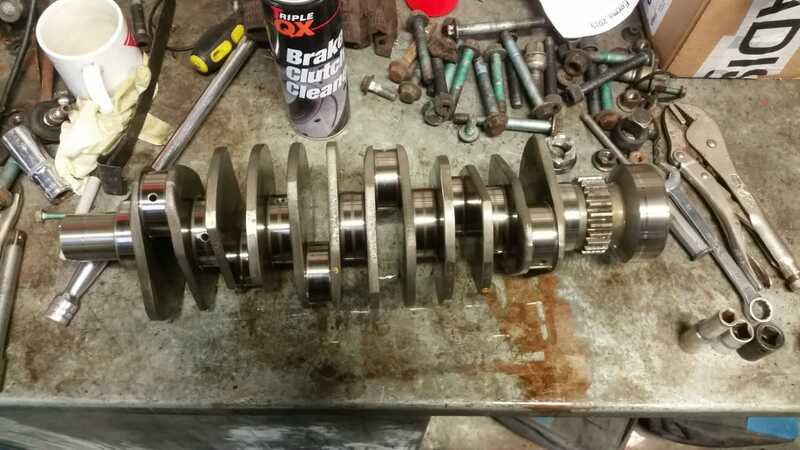 With two of the cylinders scored the option of iron cylinder liners was considered, but in the end we managed to obtain a used crankcase which we preferred. With these key parts sorted we were able to send the cylinder heads away to be skimmed, valve seats re-ground and valves stem seals replaced. Two of the pistons in cylinders 5 & 6 were scored so we had to replace these with used ones. The no. 6 conrod was also beyond repair. Whilst doing this we balanced all of the pistons and the conrods. This is fairly simple as they are designed with specific areas where minimal material for balancing can be removed. Under hard cornering g-forces the oil can have a tendency to either stay in the cylinder head and not return to the sump or pool in the side of sump away from the oil pickup tube. To help prevent oil starvation we have fitted the Porsche x51 motorsport sump. This isn’t a deeper sump but does have larger and improved baffles to ensure that oil returns and stays in the centre of the engine. The long block assembled with our lower temp thermostat and metal impeller water pump re-fitted. Inside the engine bay we have de-greased and cleaned everywhere, plus repainted the chassis cross member which was starting to rust. Before reinstalling into the car the engine block needs the intake manifolds, fuel rails and ancillaries refitting. The final area which will also needs attention is the clutch and flywheel. Both need replacing (as you would expect after 80,000+ miles) along with several parts of the clutch mechanism which wear out. So still plenty of work to be done before the engine can be run in!